Bees normally will not harm a person unless their nest is disturbed or they are provoked. If you start to notice a lot of them around your home, they may have taken up residence in it as well. Trying to take care of the problem yourself can be dangerous, especially if the bees are Africanized. Africanized bees attack with hundreds of bees, defend a larger area around their nest, and have heightened defensiveness, therefore; it takes very little to initiate an attack. 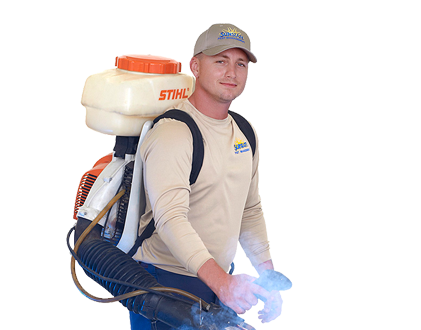 Call the professionals at Sunstate Pest Management for your free evaluation. Our trained technicians will come out, locate and inspect the problem area. Then, using the current products available they will treat and remove the hives and/or nest. Once the bees and their hives have been removed, we will advise you on how to prevent any reoccurrence.